Valley Truckle Bed and Breakfasts. Compare latest rates and Live availability for all your favourite places and places you have always wanted to go using our new My Shortlist feature. Click + to add to your Shortlist. Bed and Breakfasts in Valley Truckle, Cornwall for 1 night from Sat Apr 20, 2019 to Sun Apr 21, 2019 within 10 miles, in an Average Nightly price range of £1 to £200. Paths End offers comfotable double en suite bedrooms with tea and coffee making facilities TV/DVD and FREE Wireless Internet. Built in 1950 it is a spacious light and airy large bungalow with large garden and ample private parking. Paths End is a light and airy bungalow offering double en-suite accommodation. All rooms have tea/coffee making facilities Freeview television a radio alarm clock and hair dryer. br / br / br / br / There is free WiFi throughout the property. br / br / br / br / Paths End is situated in the village of St Teath close to the north cornwall coast the village has a traditoinal local pub which serves a selection of real ales and good food a postoffice/general store. br / br / br / br / The coastline only 3 miles away provides magnificent walks through areas of outstanding natural beauty along some of englands most dramatic coastline. We are close to many attractions within easy reach of Tintagel and Boscastle Port Isaac Pastow and Rock. br / br / br / br / No Pets are allowed. Pendrin Guest House has well-equipped accommodation boasting free WiFi in Tintagel, 800 metres from Tintagel Castle. The bed and breakfast offers a flat-screen TV and a private bathroom with free toiletries, a hair dryer and shower. 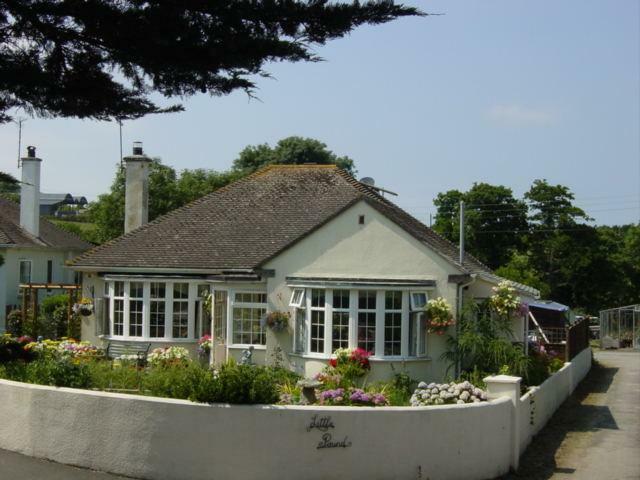 Pendrin Guest House offers a Full English/Irish or vegetarian breakfast. If you would like to discover the area, snorkelling is possible in the surroundings. The nearest airport is Newquay Cornwall Airport, 43 km from the accommodation.